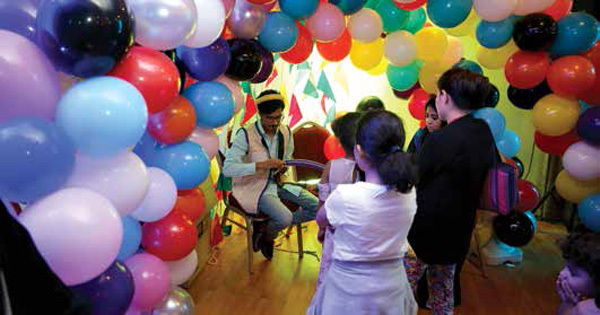 Dhahran — Thousands of visitors recently flocked to the King’s Park area for the 2018 Festival of Colors, the Saudi Aramco Employees Association’s annual fall festival. Playing true to its theme, colorful balloons and decorations dotted the park, but the festival was more than that. Free of charge to enter, it also featured games and activities of all ages, ranging from gift raffles, food sales, face painting, traditional arts and crafts, stage games, and even special discounts offered by various vendors. Muhammad M. Al Saggaf, Saudi Aramco senior vice president of Operations & Business Services, was on hand to officially kick off the event, and then toured the many activities. “This is a festival for all of our members to enjoy,” said SAEA president Taha A. Alsafi. A gift giveaway drew significant interest among the young visitors to the SAEA festival. 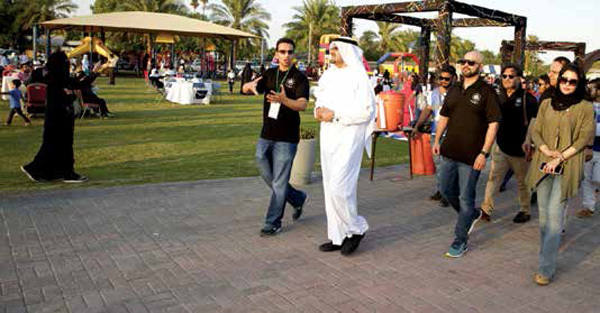 Muhammad M. Al Saggaf tours the grounds at King’s Park during SAEA’s Festival of Colors along with the group’s president, Taha A. Alsafi. The event featured children’s games, food, and fun for all ages. Balloons not only provided the backdrop for the Festival of Colors, but they also were given as adornments for visitors of all ages. 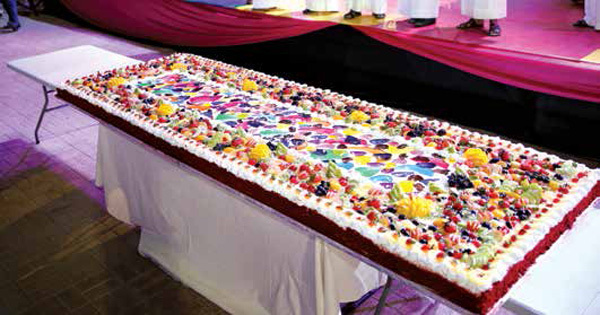 This candy display drew plenty of interest, and later was shared by visitors.